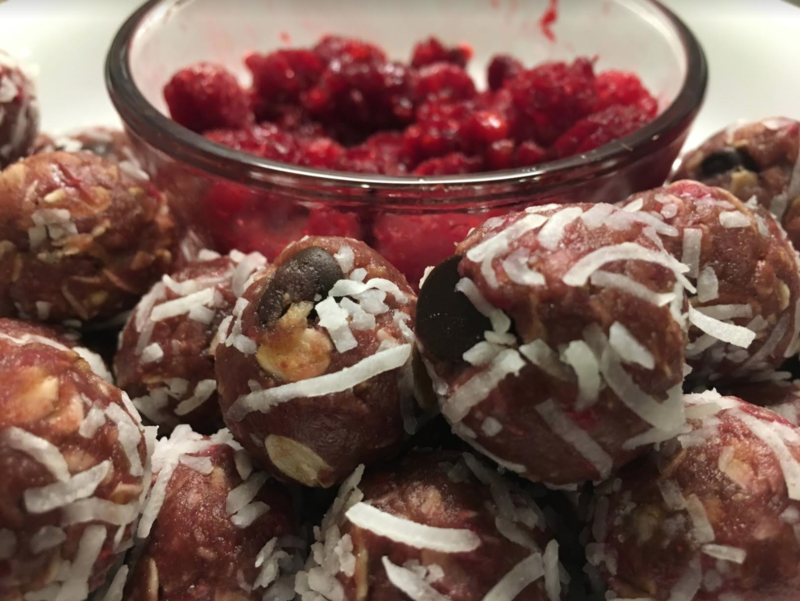 These quick and easy Complete Truth Protein Raspberry Chocolate Protein Balls make an excellent snack. They can be prepared in minutes with no baking required. Throw all the ingredients in a bowl. Mix. Roll. Voila! That’s how easy it is. 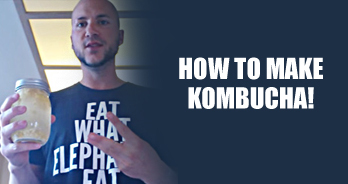 The best part is that it leaves you with no excuses not to make a healthy snack! The Complete Truth Protein Balls taste so delicious that even the kids will gobble them up. I mean who doesn’t like peanut butter and honey rolled together into a yummy and sweet ball of goodness!? These little balls of goodness are also versatile. Add nuts and seeds of your choice to these Complete Truth Protein Balls. Roll them in coconut, cacao or anything you choose. Make this recipe your own! Take Complete Truth Protein Balls on the road for snacks. They are transportable to kids games, activities and family events. These ‘grab and go’ treats will be an easy win with your family and give them a boost of energy when they need. Whip some of these up and avoid hangry tantrums on your next family outing. Mix everything except coconut flakes in a large bowl and let chill in fridge for about 30 minutes. Roll into balls. If mixture seems to dry wet your hands before rolling or add a tiny bit of water to the mixture. Sprinkle coconut flakes onto a plate. Roll protein balls in coconut flakes. 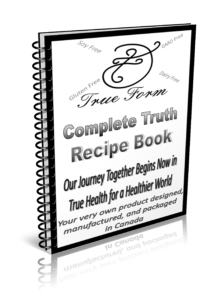 Receive our FREE recipe e-book. If you would like to purchase Complete Truth Protein you can do that here.